We played a fantastic Ceilidh for a 50th birthday celebration at the Beverley Barn a delightful new venue just outside Beverley. We can highly recommend it as a suitable place for any kind of celebration. The Dance floor is large and lovely to Ceilidh on. The owners Yasmin and Phil are lovely and the staff are truly awesome! 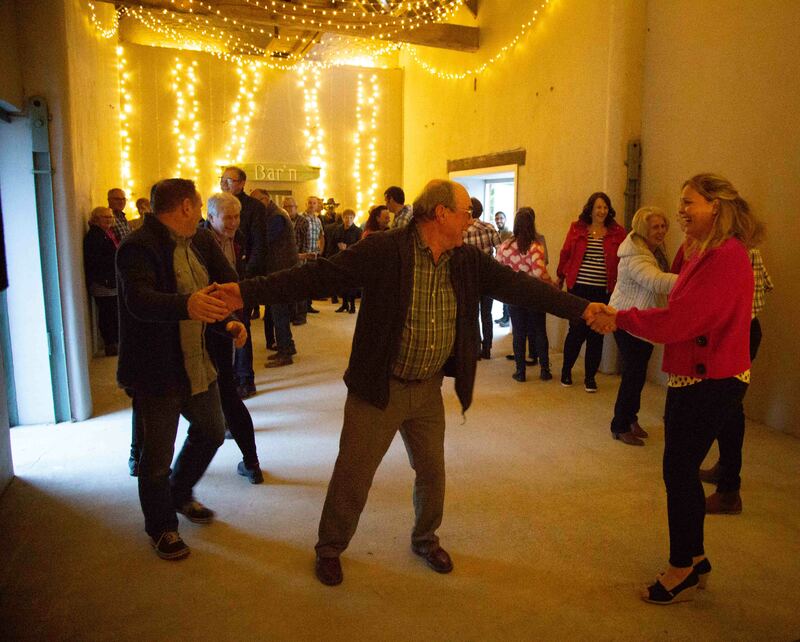 The Riding Block at Burton Constable was the venue for a grand ceilidh organised by the friends of Burton Constable. We played and learnt lots of special more challenging dances for the occasion which people enjoyed. Here are some pictures from the event. To book the Hessle Ceilidh Band Call Quentin on 07877434739. Heather and James are great friends of The Hessle Ceilidh Band and often play with us at gigs. Heather is Liz our whistle and pipe player’s daughter and we were delighted when she asked us to play at their wedding held at Dene Park Wedding Venue near Beverley . There was a wedding folk session, Belly Dance and Ceilidh. Here are some images and videos from the event to give you a flavour of a truly folky wedding. Many thanks to Rob Pullen who shot this footage of the Ceilidh dancing and The Circassian Circle the last dance at Heather and James’ wedding – a fitting finale for a fantastic do! 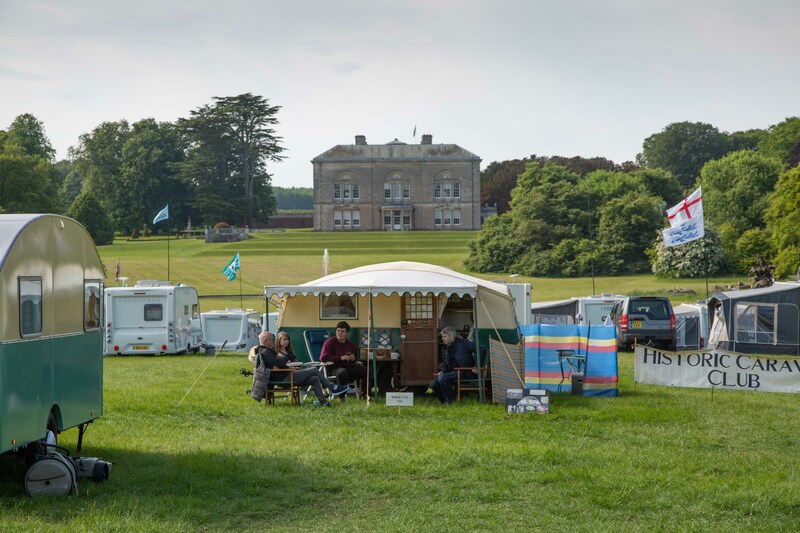 We played a belting pair of Ceilidhs at The National Caravan Club Show 2018 Sledmere House this weekend plenty to see and do and great fun with enthusiastic dancers – we really enjoyed the vintage caravans and cakes! I love calling for dancing. There is a great energy, which is reciprocal between caller and dancers, and the more fun the dancers have, the more I have, too. I adore dancing and believe it should be enjoyable; I try to make every event I call for one I’d like to be dancing at. Although it’s very satisfying when a dance goes perfectly, it’s often far more fun when it goes a bit haywire, with people giggling as they dance. I came to dance calling accidentally; the folk dance group in Norfolk, of which I was a member, lost 1 of its 2 callers. Feeling sorry for the remaining caller, I offered to help out occasionally. ‘Occasionally’ grew into often running the group alone. Having served my voluntary apprenticeship, I moved onto public calling, also somewhat accidentally. After seeing an article in the local paper about my starting up a new folk dance group, a caller rang me out of the blue to ask if I’d cover for him 2 days later as he was unable to make it. So with a cobbled-together programme and much trepidation, I managed to successfully run my first public barn dance. Word got round and I soon started calling regularly with the Hessle Ceilidh Band. 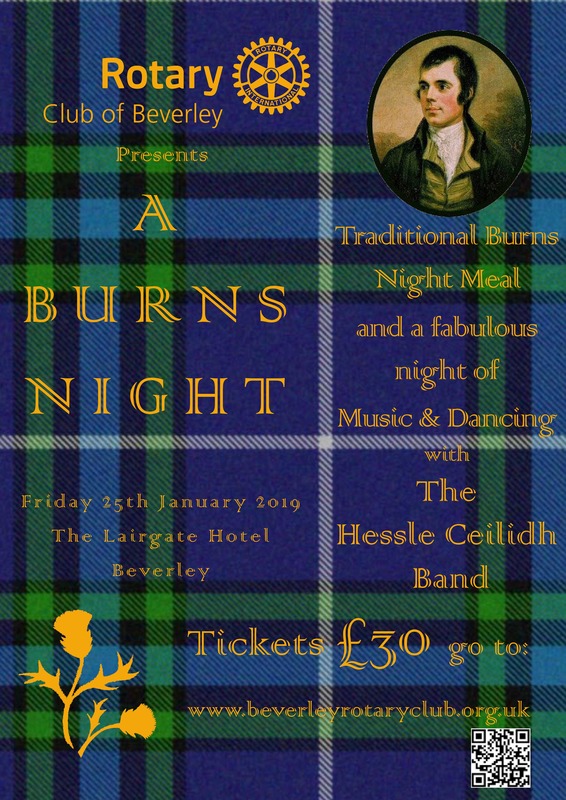 After a baptism of fire at a New Year’s Eve ceilidh, I’ve been delighted to continue calling at all sorts of events with this talented band and look forward to many more enjoyable dances with them. Today we’re publishing a new band photo to mark the arrival of Quentin’s son Zebedee Budworth to the Hessle Ceilidh Band. Zeb’s been working up his traditional Ceilidh band piano vamping chops with fiddle maestro and upholder of the Ceilidh tradition Jill Fisher and he’s rather good. In other musical lives Zeb plays drums with Indy Shoe-gazey pop upstarts The Night Flowers, Hammer Dulcimer with The Grinnigogs and a plethora of instruments with the Silver Reserve. Come along for a vibrant and fun evening with one of Hull and East Yorkshire’s Best Ceilidh Bands in the historic Indoor Riding School. The Hessle Ceilidh Band are a four piece band with a dance caller, who will guide you through the dances. You are welcome to bring along refreshments and your own drinks plus suitable seating. Please be aware that the more space for dancing the better, therefore only small tables are recommended for this event. This Friends of Burton Constable event is sure to be a good old-fashioned knees up, so come along, bring your family and friends for a night to remember. Fri 8th June 2018 Doors open at 6pm and performance starts at 7pm. Ceilidh’s at The Holiday Inn, Hull Marina are ideal for all social events including weddings, birthdays, anniversaries and retirement parties. They are particularly good ice breakers at weddings where people may be meeting for the first time. Ceilidh dancing can involve large or small groups of people and it is easy to pick up, experience is not required. The dances are pattern dances and may be done in lines, squares or circles. Many are progressive which means that couples change partners regularly during the dance. Planning a wedding Ceilidh or barn dance at the Staff House at Hull University? Ceilidh’s at Staff House are ideal for all social events including weddings, birthdays, anniversaries and retirement parties. They are particularly good ice breakers at weddings where people may be meeting for the first time. Ceilidh dancing can involve large or small groups of people and it is easy to pick up, experience is not required. The dances are pattern dances and may be done in lines, squares or circles. Many are progressive which means that couples change partners regularly during the dance. Planning a wedding Ceilidh or barn dance at the Best Western Willerby Manor Hotel in East Yorkshire? Ceilidh’s at the Best Western Willerby Manor Hotel are ideal for all social events including weddings, birthdays, anniversaries and retirement parties. They are particularly good ice breakers at weddings where people may be meeting for the first time. Ceilidh dancing can involve large or small groups of people and it is easy to pick up, experience is not required. The dances are pattern dances and may be done in lines, squares or circles. Many are progressive which means that couples change partners regularly during the dance. Planning a wedding Ceilidh or barn dance at the Mercure Hull Grange Park Hotel in East Yorkshire? Ceilidh’s at Mercure Hull Grange Park Hotel are ideal for all social events including weddings, birthdays, anniversaries and retirement parties. They are particularly good ice breakers at weddings where people may be meeting for the first time. Ceilidh dancing can involve large or small groups of people and it is easy to pick up, experience is not required. The dances are pattern dances and may be done in lines, squares or circles. Many are progressive which means that couples change partners regularly during the dance. Planning a wedding Ceilidh or barn dance at in Tickton Grange in East Yorkshire? Ceilidh’s at Tickton Grange are ideal for all social events including weddings, birthdays, anniversaries and retirement parties. They are particularly good ice breakers at weddings where people may be meeting for the first time. Ceilidh dancing can involve large or small groups of people and it is easy to pick up, experience is not required. The dances are pattern dances and may be done in lines, squares or circles. Many are progressive which means that couples change partners regularly during the dance. Planning a wedding Ceilidh or barn dance at the Beverley Barn on Long Lane near Beverley in East Yorkshire? Ceilidh’s at the Beverley Barn are ideal for all social events including weddings, birthdays, anniversaries and retirement parties. They are particularly good ice breakers at weddings where people may be meeting for the first time. Ceilidh dancing can involve large or small groups of people and it is easy to pick up, experience is not required. The dances are pattern dances and may be done in lines, squares or circles. Many are progressive which means that couples change partners regularly during the dance. Planning a wedding Ceilidh or barn dance at Saltmarshe Hall in East Yorkshire? Ceilidh’s at Saltmarshe Hall are ideal for all social events including weddings, birthdays, anniversaries and retirement parties. They are particularly good ice breakers at weddings where people may be meeting for the first time. Ceilidh dancing can involve large or small groups of people and it is easy to pick up, experience is not required. The dances are pattern dances and may be done in lines, squares or circles. Many are progressive which means that couples change partners regularly during the dance. Planning a wedding Ceilidh or barn dance at Rudstone Walk in East Yorkshire? Ceilidh’s at Rudstone Walk are ideal for all social events including weddings, birthdays, anniversaries and retirement parties. They are particularly good ice breakers at weddings where people may be meeting for the first time. Ceilidh dancing can involve large or small groups of people and it is easy to pick up, experience is not required. The dances are pattern dances and may be done in lines, squares or circles. Many are progressive which means that couples change partners regularly during the dance. Planning a wedding Ceilidh or barn dance at Rise Hall, Rise, East Yorkshire? Ceilidh’s at Rise Hall are ideal for all social events including weddings, birthdays, anniversaries and retirement parties. They are particularly good ice breakers at weddings where people may be meeting for the first time. Ceilidh dancing can involve large or small groups of people and it is easy to pick up, experience is not required. The dances are pattern dances and may be done in lines, squares or circles. Many are progressive which means that couples change partners regularly during the dance. Big thanks to @kairosphotographyhull for these wonderful images of the Hessle Ceilidh Band at play. So if you are planning a celebration? A ceilidh sometimes called a barn dance is a great way to get your friends and family together and have a really great time. Ideal for birthdays, weddings, engagements, retirements and community events The Hessle Ceilidh Band are East Yorkshire’s busiest ceilidh band. Call Quentin on 07877434739 to make a booking. We played a rather wonderful Ceilidh at the Expanse Hotel Bridlington. Fantastic dancing from an enthusiastic crowd and lots of fun. The organiser of the ceilidh was over the moon with the event and said “The band was fantastic and made it a truly remarkable occasion that everyone enjoyed”. If you would like more information about the band, where we are playing or booking enquiries, contact Quentin on 07877434739. We played a truly beautiful wedding Ceilidh at Saltmarshe Hall near Howden last night for Nick and Suzanne – it was a joy to be a part of the celebrations in such a fantastic setting and with such a delightful couple. If you are planning a party or wedding celebration ring Quentin on 07877434739. and he will advise you on availability and pricing. Here are some more pictures of the venue and first dance – unfortunately we have no pictures of the Fish and Chip supper which was ace – yes there were mushy peas! We played a fantastic wedding Ceilidh at Fruit in Hull a fab venue for a wedding reception with a great relaxed and youthful feel – great dancing and lots of fun, Here are some pictures from a very special occasion. If you are planning a party or celebration this summer or autumn give ring Quentin on 07877434739 and he will advise you on availability and pricing. We had a really fantastic ceilidh on friday night in Skidby Village Hall – a leaving do with lots of children under 12 and some fantastic dancing all round. Have a look through the photos to get a flavour of the fun, If you are planning a party or celebration this summer or autumn ring Quentin on 07877434739 and he will advise you on availability and pricing. We had a fantastic gig in the park on sunday in Howden – a truly appreciative audience, some dancing on the Ashes lawn and beautiful weather to boot. A lovely time was had by all. It really doesn’t get any better than this weather wise in June! If you are planning a party or celebration this summer or autumn ring Quentin on 07877434739 and he will advise you on availability and pricing. Photos below by Mark Rodger of Howden Live. The pictures say it all! The weather was lovely and a great time was had by all at this rather wonderful wedding Ceilidh in Coniston Village Hall. If you are planning a party or celebration this summer or autumn give ring Quentin on 07877434739 and he will advise you on availability and pricing. Golden memories – A rather splendid event last saturday, a fantastic occasion in which family and friends were reunited and a 30th, 70th birthday and a wedding anniversary were celebrated in fine style. We had duelling pipers, a highland fling and some fantastic dances in the lovely Hornsea Parish Hall. If you are planning a party or celebration this summer or autumn ring Quentin on 07877434739 and he will advise you on availability and pricing.